Our PADI Advanced Open Water course package includes theory sessions (Knowledge Reviews) and 5 shore dives in the Amed & Tulamben area (Kubu & Seraya included).Price includes PADI materials and certification, pick up from your hotel if needed, transport to the dive sites, PADI Instructor services, equipment rental, 12L tanks, weights,towel, water, coffee and tea. Our Night Dive package includes 1 shore dive in the Amed & Tulamben area (Kubu and Seraya included). Price includes pick up from your hotel if needed, transport to the dive sites, Divemaster services, equipment rental with torch, 12L tanks, weights, towel, water, coffee and tea. Indonesia lies at the center of the world's richest marine biogeographical region! This Indo - Pacific region runs from the Red Sea to the West Coast of South America. Smack in the center of this vast area is Indonesia where the Pacific meets the Indian Ocean. Indonesia, with over 18,000 islands and an estimated 85,000 square kilometers of living coral reef. That's more than 14 percent of the world's coral reefs. Biologists studying species distribution have placed the very epicenter of this marine richness in an area called the "magic triangle". Forming the corners of this biological marvel are the tip of the Southern Philippines to the north, Bali to the east and Western New Guinea. This region alone encompasses the richest diversity of marine fauna on the planet. Over eighty genera of coral and perhaps twenty five hundred species of fish! ( and still counting) compare that to say the Caribbean with only twenty genera of coral and eight hundred types of fish! Indonesia boasts more amazing diving destinations than anywhere else on earth. Not only is diving in Indonesia on every semi-serious diver's 'Must do' list but there are also many great places for less experienced but no less enthusiastic divers. Areas like diving in Komodo, diving in Raja Ampat and Banda Islands are becoming known as among the world's best liveaboard destinations, adding to places such as Pulau Bunaken, in Sulawesi which are already established as world class. Rippling across the equator for nearly 5000km, Indonesia offers some of the most diverse coral reefs on the planet. There are over 15 thousand islands with a coastline stretching over 50 thousand kilometers all lying in tropical waters, a perfect environment for coral growth. The amount of coral reef the archipelago contains is far more than neighbor Australia's Great Barrier Reef. 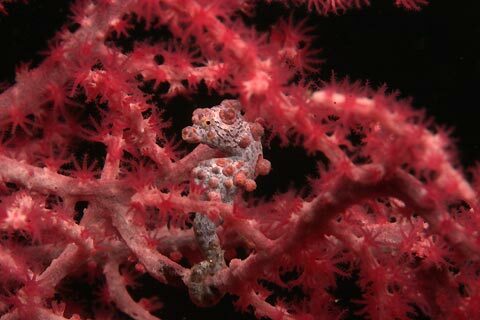 Diving in Indonesia offers over 3,000 fish species and 450 species of coral, steep walls, deep water trenches, underwater volcanic mountains, World War II wrecks, and an endless variety of macro life. Indonesia encompasses more than 17,000 islands, two-thirds of which are inhabited and richly layered with character. On Sulawesi, the elaborate funeral ceremonies and timeless traditions of Tana Toraja are light years from the surfing culture of Lombok. But so too are the mighty saddle-backed Batak mansions of Danua Toba and the volcanic lakes of Sumatra from the mummies and deeply etched gorges of Papua’s Baliem Valley. The resorts and restaurants of Bali pamper precocious style cats, while at the same moment threadbare backpackers are adopted by homestays in Kalimantan. Indonesia’s cities are in a constant state of urban evolution, where dense populations, technology and construction live in hectic symbiosis. But most of the archipelago’s territory remains unexplored, concealing a wealth of cultures and a myriad of landscapes. Oceanic rice fields and ancient sultanates in Java are humbled by haunting volcanic cones. Maluku’s alabaster beaches and desert islands remain pristine while the tourist trail heads elsewhere. The jungles of Sumatra, Kalimantan and Papua are zoological wonders, revealing impish monkeys, stoic sun bears, leopards, orang-utans and remarkable marsupial.